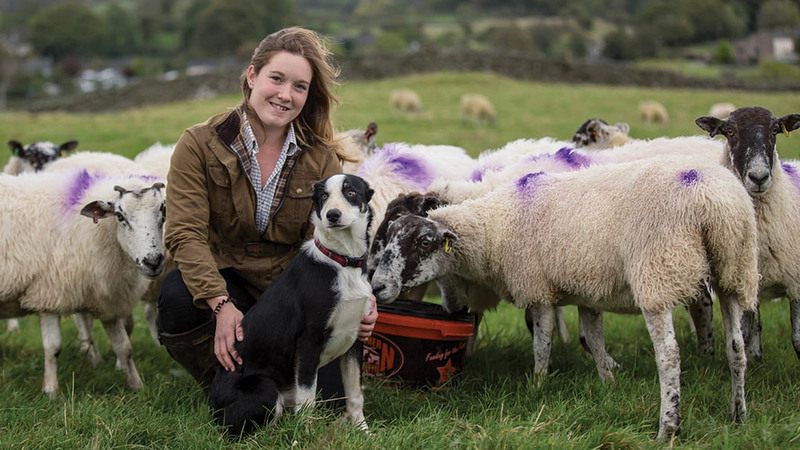 Farmers Guardian - Blogs - Young farmer focus: Jodie Swan - "All I ever wanted was my own flock of sheep"
Prince’s Trust: All I ever wanted was my own flock of sheep and the Prince’s Trust Farmer Network Scheme allowed me to make a good start, when I was just 18. At the time I was working on farms and helping out on my grandparents’ small sheep farm at home, but really I just wanted to give it a go myself. The trust helped me in so many ways, with the help of a business adviser to put my ideas down on paper and build a basic business plan. I then secured a loan and a grant to allow me to purchase my first shearlings in 2014. As I had limited access to land, I started with just 20 Mule shearlings. But over the last three years, I have managed to slowly build up the flock. I found a plot of 4.9 hectares (12 acres) split into five fields to rent, so I am able to keep rotating the sheep. I have another couple of plots of land, and with the help of my boyfriend we have spent about two years trying to get rid of bracken and thistles which seems to have really payed off. Cheviots: Last year I made a change and bought a North Country Cheviot tup from K.O. Stones, Marrick. As soon as I saw him going through the auction I knew I wanted one of his tups. I had previously used the Suffolk but was keen to try a new breed, and fortunately it turned out to be a good decision. I was so impressed with the lambs; they were easy lambing, quick to their feet and very quick to grow, with a lambing percentage of 180 per cent. From then on I knew this was the breed to use going forward. I kept some of my gimmer lambs back for myself for replacements but sold most through J36 at its annual Ambleside gimmer lamb sale. I made my best price so far of £88 each with an average of £78, so I was pleased with the result. Income: At other times of the year I am not getting income from the sheep, so I take on self-employed work on farms in the local area. I love seeing how other people manage their sheep and enjoy helping others. One farmer I work for has recently diversified into making wooden sheep hurdles to help subsidise his small business – it is nice to work alongside others who have similar struggles to myself and we are busy at the minute getting hurdles made for the coming lambing season, to sell onto other farmers and companies. Looking to next year, I am eagerly hoping to increase my flock if I can find local land available to rent, as that seems my biggest challenge so far. Young farmer focus: Alex Dunn - "There are so many lessons we can learn from new Zealand"